Trainer Matt Dunn hopes he keeps expensive gelding Green Mountain for a few more runs after an impressive win at Doomben. The gelding cost $500,000 at Inglis Easter Sales and he is a half-brother to the Group One-winning mare Politeness. Green Mountain had one run at Newcastle before being sent to Dunn at Murwillumbah. 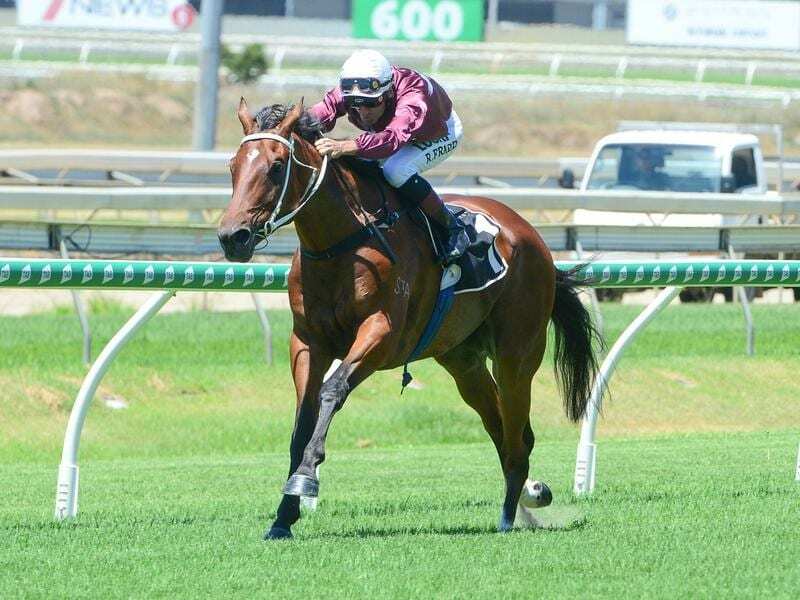 “He is obviously a nice horse and he had a trial and a jump-out to get him ready for 1350 metres first-up,” Dunn said. “He is owned by Hong Kong interests so whether he ends up there I don’t know. Apprentice Jacob Grob had a happy return to riding when Winds Of Change ($5.50) scored a last-stride win. Grob was originally from Queensland but had a stint in Victoria with trainer Mick Price where he rode 44 winners. He returned to Queensland last year but suffered a neck injury in a fall at the Gold Coast on September 15 and hadn’t ridden in a race since. “I am with Michael Costa at the Gold Coast but I hope to also hope up ride work for Robert Heathcote (at Eagle Farm),” Grob said. Winds of Change is trained by Robert Heathcote for his friend Neil Owen who mixes training with owning a chemist shop on the Darling Downs. Tony Gollan and Brad Stewart celebrated being named trainer and jockey of the summer carnival by producing impressive Black Strata ($3.20) a debut maiden winner. A $110,000 buy from the Inglis sales, Black Strata has been given plenty of time before making his debut on Wednesday.